While it seems like doctors tend to emphasize genetics when it comes to risk factors for developing chronic diseases, the truth is that the things you do or don’t do each day play just as big of a role and could actually be more important — especially when it comes to the health of your heart. This was recently proven once again by researchers at the First Cardiology Clinic at National and Kapodistrian University of Athens, Greece, who found that there are two specific lifestyle changes you can make that will significantly decrease your risk of ending up with heart disease or suffering a stroke. 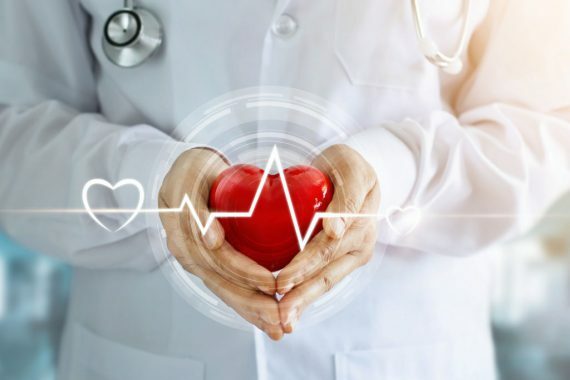 The study, presented at the American College of Cardiology’s 68th Annual Scientific Session, assessed markers of heart health along with a variety of environmental exposures and lifestyle factors in 2,000 people living in Corinthia, Greece, ranging in age from 40 to 99 years old. The researchers specifically looked at the participants’ carotid femoral pulse wave velocity — which measures how fast pressure waves move through arteries to detect stiffness (a sign of atherosclerosis). They also measured the thickness of the inner part of their arterial walls to determine levels of plaque buildup (higher levels equals higher risk of stroke). #1 — Are you a couch potato? #2 — What’s your breakfast of choice? • Skipped breakfast (less than 5 percent of daily calories). Can you guess which group was more heart healthy? According to the researchers, those who ate a high-energy breakfast had significantly healthier arteries than those who ate little or no breakfast. In fact, they had less arterial stiffness and less plaque buildup than both of the other two groups. So, what did the high-energy breakfast eaters choose to start the day? The most common choices included milk, cheese, cereals, bread and honey. These findings show that the small lifestyle choices we make each day add up when it comes to heart health. Hitting the gym — On top of spending less time sedentary in front of the television, dedicating more time to physical activity can help keep your blood flowing and your heart pumping strong. Choosing heart healthy supplements — Certain nutrients have been well-researched for their role in promoting heart health. These include CoQ10 which provides energy for cells of the heart, vitamin K2 (shown in the famous Rotterdam study to boost artery-beneficial HDL and lower total cholesterol), and nitric oxide which helps relax arteries for normalized blood pressure. Getting more fiber — Studies show that diets high in fiber can lower your risk of heart disease by as much as 40 percent. Quality sources of fiber include avocados, nuts, seeds, berries and lentils.